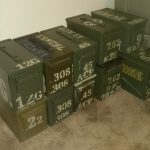 This time, we’re going to be talking about “Building the Prepper Armory: Part 2”. In the next installment of Building the Prepper Armory, we’re going to talk about various accessories, Optics, calibers and which calibers to stockpile, primitive weaponry, slings and sling bows, archery, blowguns, ammo for the more primitive of these weapons, and a whole lot more. We’re also going to discuss what Weaponry you can create at home that you can put into your Armory. Listen to this broadcast or download “BUILDING THE PREPPER ARMORY part 2” in player below! Topics also include, barter and the items that we can stockpile that could be used for barter. Barter items include things like ammunition, primers, reloading supplies, alcohol, medical supplies, different types and sizes of survival kits, and a whole lot more. Basic reloading and the various options and procedures for reloading are also going to be touched on. Reloading and the equipment to do it is an absolute must when it comes to this part of your plans. Stay tuned because we got another good one coming up for you. 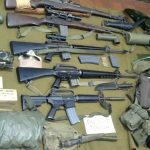 From part one episode of BUILDING THE PREPPER ARMORY with The Gunmetal Armory, we dive into what you should stock in your Prepper Armory, and its purpose. We will talk firearms, edged implements, ammo, accessories, optics, and more. Get ready, cause this is going to be an epic journey. Previous: Previous post: The I Am Liberty chatroom takeover! Next: Next post: SHTF Pest Control!